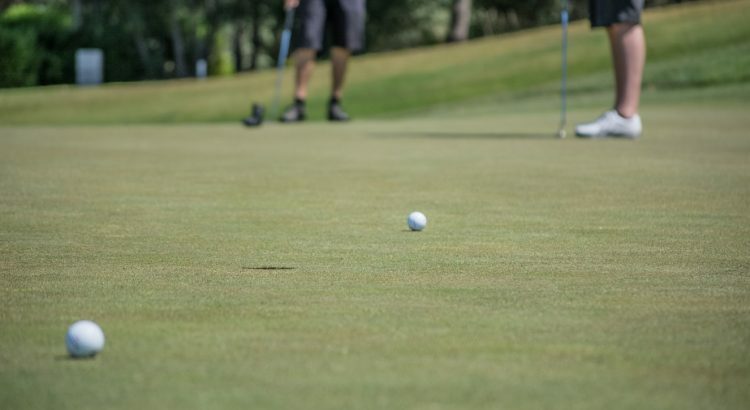 As a beginner golfer, using the best putter can lower your shot count on the green quite significantly. Putters come in all sizes and shapes but you must be able to get to grips with it fairly quickly to master the art of the perfect putt. 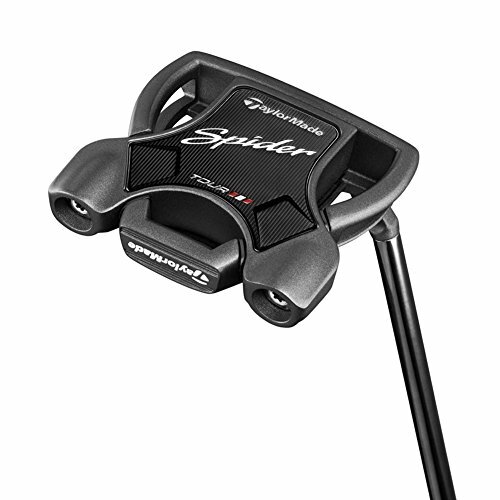 There are many manufacturers claiming to have developed the best putter for beginners and experienced golfers but the TaylorMade Spider Tour Black Dustin Johnson Putter really is. It is tour proven and highly rated by golfers of all handicaps. From blade putters to mallet putters, there is a club out there for all golfers that will improve your putting. The putter is the most used club in your bag and its worth spending a little bit more to get the best putter for the money. As the putter is required for every hole, it’s important to research for a putter that works well for your putting style. Before switching to your new putter, we strongly recommend that you practice using the new putter with a fun putting green. The putter variety on the market ranges from mallets to blade putters with different weight distributions and alignments. Every year, golfing manufacturers are finding additional methods to aid the golfer for the perfect putt. For the savvy golfers, many putters are designed to be attractive as well as perform at the same time. Regardless of the design, below is a list of the best putters for the money that will improve your putting game on the course. TaylorMade is known for developing high-quality golf clubs for all handicap ranges as well as professionals. The Spider Tour putter is currently the best putter on the market and one of the smoothest on the green. The TaylorMade putter has a short slant neck nosel with a smooth crown. It can be purchased for both left and right-hand golfers with the choice of 33, 34 and 35 inches in shaft length. The mallet putter features perimeter weighting to provide more stability and forgiveness on mishits. The patented PureRoll by TaylorMade combines the 45-degree grooves and the soft polymer to provide optimal topspin for the perfect putt. If you are a beginner that has been mishitting the ball or even a professional looking for the perfect putt, this is the best mallet putter to buy. The only drawback is the inflated price but you are paying for the superior brand and high quality. The Cleveland blade putter offers a high-quality precision milled face that provides a consistent roll down the green. 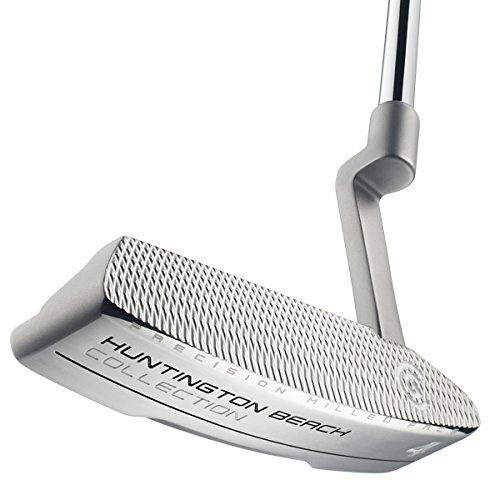 For a softer feel to the head of the putter, it is made using soft 304 stainless steel. It uses an old-fashioned design that dates back centuries ago but the milled face provides that little extra. In terms of pricing, it comes with a reasonable price tag with lots of research and development gone into ensuring the alignment and weight distribution is spot on. As with most highly rated putters, they come with multiple sizes (33, 34 and 35 inches) and for both left handed and right handed golfers. The club head of the blade putter is slightly weighted but provides perfect alignment in order to improve your putting game. Overal, the Cleveland Golf Huntington Beach is one of the best blade putter for the money and will certainly improve your putting game with plenty of practice. Finding a budget putter that is actually rated can be fairly difficult but the Pinemedow Putter is the best buy. It uses a mallet putter design with an additional 40 grams of weight to suit faster greens that are the most common. The white finish on the head may satisfy some golfers needs but I do think it will require plenty of cleaning. However, it is proven that the white color helps the golfer to focus on the alignment of the putter when taking your shot. The reason why the Pinemedow putter is so popular is purely because of its price. It is a cheap putter that provides great value for money with the quality that it possesses. 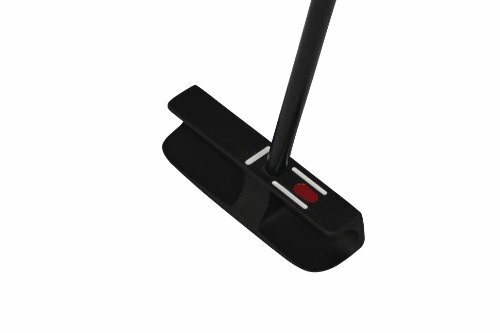 Overall, all things considered with regards to quality, weight distribution and the price, it is the best cheap putter. Other budget putters will be very light and there will be a lack of time spent on the aspects a golfer requires for the perfect putt. Callaway is market leaders in the golfing industry with their groundbreaking technology integrated within their clubs. The design of this Callaway, in particular, is one of the best with both a black and red version available. The new innovative mallet putter design with the micro-hinge face insert provides excellent topspin and roll at the point of contact. The micro-hinge is made from stainless steel that is moulded onto the thermoplastic elastomer layer to provide a great feel when putting on the green. The head weight of the Callaway O-Works #7S Putter is 350 grams which is heavier than most and may require some practice before going on the greens. The main competitor is the TaylorMade mallet putter but this the cheaper putter if you are on a budget. SeeMore is a golfing brand that simply focuses on one club, which is the putter. 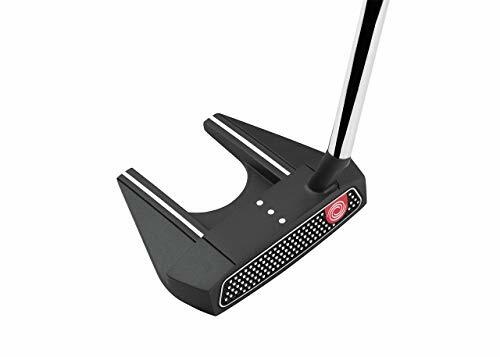 The head is constructed from 303 stainless steel with a milled face with the patented RifleScope Technology that is used for the superior alignment of this putter. There are four different sizes for the SeeMore putter with 33, 34, 35 and 36 inches available in both right and left-hand orientation. It truly is one of those putters with a historic background as its won the 2007 Masters in one of the finals. 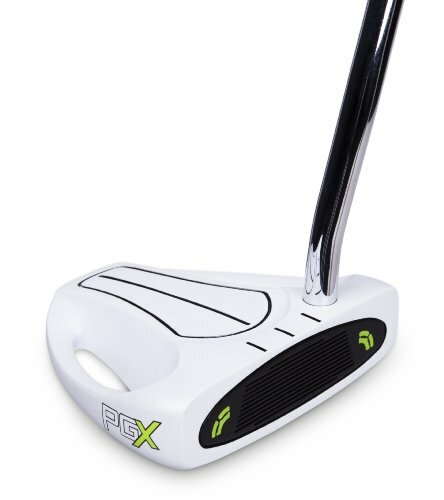 Using the advanced technology that this putter was developed with, you are able to get optimal accuracy on every putt. It is almost twice as much as the alternative blade putter but it is highly rated by every golfer that uses it. It is the best blade putter you can buy but only if you are not on a budget. Choosing the right putter is absolutely essential for a great golf game, but it is often disregarded as not important. It is the most likely the last club used before sinking it into the hole and you wouldn’t want to leave that up to a putter that doesn’t seem right to you and might mislead you into getting another stroke. If you’re a beginner, you wouldn’t want to make this mistake, but how does one choose the right putter? There are many different factors that should be considered for you to get the most for your money. Length, weight, and the balance of it are just a few of the things that are brought to your attention for consideration here. Many things about a putter depend on knowing what your stroke is, so it is very essential that the first thing you do is figure this out. It will bring you a step closer to getting what will surely be the best putter for you and therefore increase the level of skill you will have in a golf game. You can figure out what kind of stroke you have if you don’t already know by putting two strips of tape on the ground and have it parallel to your toe line and then hit some putts to see how and where your ball veers off to. If it has more of a straight look to it then you have a straight stroke and should factor that in when looking at different kinds of putters. If it moves with more of a slight bend or arc to it then you have an arc stroke. No one is a bad putter, but some just haven’t found the right putter for their stroke. There is weight concentrated in different areas of a putter depending on your stroke and you should evaluate how the putter feels with your stroke to choose what feels right for you. There are two main types of putters to get you started depending on if your stroke is more straightforward or if it arcs. There’s toe weighted (which usually has different toe-hang depending on the putter) and face balanced. These are all made for different kind of strokes and you should try a variety of them to see what fits you best and feels right. Face balanced putters are best for players with a straight putting stroke while toe weighted are more partial towards people who have an arc in their putting stroke. A good example of someone with an arc in their putting stroke is Tiger Woods. Toe Weighted also tend to have a larger sweet spot than the other one so more true hits can be achieved. You can figure out if you are a toe weighted or a face balanced by balancing the shaft of the putter on your finger. The head design is also an important factor to count in. A blade is the most traditional and oldest design. It has a plain flat look to it and it is good for faster greens (although most greens have gotten faster over the years). The sweet spot for this type of head is near the heel and doesn’t have a lot of forgiveness to it if you don’t hit the ball near the eel. It is usually best for people with an open-closed-square stroke. Peripheral weighted is more of an evolution of the blade design. It thin like the blade but at the heel and toe there’s weight added so that you have a more even stroke. The mallet is another variation of the putter’s head. It is large and weight can be added in various places so that shots can be made more accurately and better. These types of heads are usually better for straight strokes because of the fact that they are face balanced. The blade is usually for people who have less miss-hits when putting while a mallet has more forgiveness to it and less places for error. After you’ve decided on the best head design for you, you should consider face inserts. Just like head designs, there are three main designs to choose from to get the best possible golf game. There is a groove one that helps with stopping skidding, spinning, and sliding and helping it have a solid forward forward motion. It gives it a much more smooth roll on the greens. This particular design is one of the newest designs in golf clubs. A metal face can also be useful to golfers because of the noticeable sound it makes when it connects with the ball, so you know how good of a hit you got. It has a heavy feel to it and it is traditionally made out of steel, although there are other options including bronze, titanium, and brass to name a few. The last main type of insert is just called insert face. It is almost the same as the metal face but is made of nonmetal material and usually has less of a sound when the putter connects with the ball. Insert face readjusts weight to give more forgiveness in a stroke which is very helpful. Forgiveness generally means that the putter will not twist as much which will help the ball hit the sweet spot of a club to give it a more powerful and direct hit to the hole. Groove face putters can actually either be an insert face or metal face so this could give you the best of both worlds if that’s what you are looking for. A golfer should try different face inserts out to see which one would be best for their stroke and more beneficial to their game. Most putter shafts are steel and don’t change material all that much so that is one you think about putters you can rest easy on. However, there are different designs and styles to improve performance. Most shaft putters have a different style at the hosel which is where the part of the shaft that connects to the head. One variation of this is called the Hotel Offset. This is a style where the hosel bends backwards, which pushes a golfer’s hand ahead of the ball for impact. Most putters have a little offset in general. Offset putters also tend to work best for golfers who swing a little to the left. Then there are centre-shafted putters which connects directly to the head in the centre, which can help with guiding a ball directly into a hole. One of the last main styles of the shaft is the heel-shafted putter. This is actually the most traditional and common. It straightforwardly connects the shaft to the head and then connects at the end that is closest to the golfer. Another thing to look for is the length of a putter. This is one of the most important things to check about your putter. Most people go for a standard length (thirty-five inches for men, thirty-three to thirty-four inches for women) but if this feels off you can have it altered or changed so that you can get the best swing possible out of your putter. There are different theories on if short or long putters work best, but to get the best golf game you have to choose what you think would be right for you, feeling uncomfortable with the putter you’re using would be damaging to a golf game. The length is so important because it can help the quality and strength of a stoke, bring you one step closer to being amazing at putting which will absolutely help you be incredible at golf in general. Plus having a putter with a proper length for you will help you have a good grip on it and if you have a good grip, your putter’s connection with a ball will also be good. This can help you hit the sweet spot and have amazing results. These putters are helpful if you get tremors or “the yips” while hitting the ball. These types of clubs anchor itself to your chest or stomach and it will stabilize it, helping you get the best possible stroke you can get. The length on these putters is usually longer than the length of a standard putter, as it has to add extra inches to be even with your upper body. This type of putter works best if you have an arc to your stroke. It can really help with stabilizing yourself and your shot to make sure your golf game is the best its ever been. Going right along with length, a putter’s weight matters too. There are no rules for what’s better nut there are guidelines to help push you in the right direction. Light putters usually work best on fast greens while the heavier ones are better suited towards slow greens. There is usually a standard weight of a putter (19 ounces) but choosing one that feels right for you and is right for what time of green you’re on can help you go from a beginner to a master putter fast. Putter lie angle is also crucial to picking the right one for you. A putter lie angle is an angle that the shaft intersects the head in relation to the ground. The standard for this is 70 degrees, but depending on how tall or short you are it should be adjusted. When the sole of the putter lies flat on the ground, it is usually the correct length for your body. A more upright angle is ideal for taller people and people on the shorter side should think about getting a more flat angle. Possibly the most important part of choosing a putter is that it should just look and feel right to you. If the putter feels off, your game would also be off. Getting the perfect putter for your money is important so if it’s too heavy or too short for you as a golfer you should keep considering the tips above and think about what could be causing the putter to be off. After you have figured out what you need to change you can find something with a different putter lie angle or different head design of the putter and get the perfect one for you. The right putter should help with your aim and just make you feel more confident in general. It should look right to you too and be pleasing to the eye. Holding it should make you feel comfortable and not like it’s a chore. Having to look at something that looks like an eyesore to you during your game is not really going to help you do your very best in the long run. If it feels perfect it will help you have a perfect golf game and you will be sinking balls with your putter with ease. All of this information should help you help find a putter that is right for you. If it feels right and is the best for your golf game then you will become a master putter in no time. As long as your putter feels right, your golf game will be great because you will be comfortable and confident in the tool you are using to sink your ball into the hole. The right tool can help you achieve your best performance and picking the right putter along with other golf clubs is essential to having an impressive score in golf. These tips up here will definitely help you seem like a pro in no time at all and everyone will be impressed with how extraordinary of a golfer you are and how effortless your putts seem to be. They will be effortless too because you found the perfect putter that’s just right for you.